Feng Shui crystals add light and color to any room in your home. They fill a home with positive Chi energy. When placed in a window, crystals will encourage positive Chi as they fill your home with rainbows. They also bring balance to the dominating fire element – the sun. TIP: Use crystals all around the house to deflect negative energies. In Feng Shui, soft and wavy lines of water elements bring “Yin” energy. They help to balance the straight architectural lines and the many other “Yang” shapes and energies of our modern life. Other water symbols can be: a water picture, or any art representing water. For instance a beautiful lake, sea waves, a waterfall will energize an area with good energies. 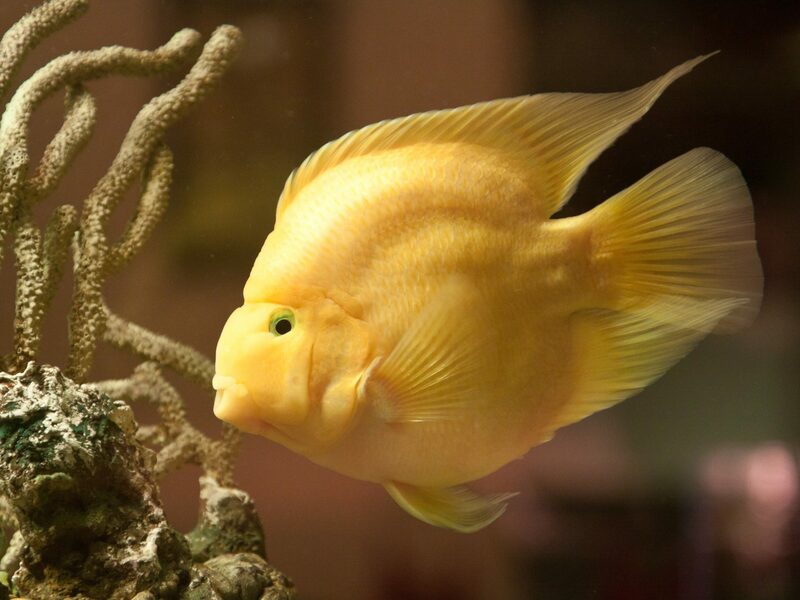 Even if they are just figurines, Feng Shui fish, frogs, turtles, or water dragons have their own symbolism believed to bring good energies to your place. Chinese believe that the Dragon headed Turtle will bring longevity into your place, especially to the head of the house. The water element is a great solution for correcting an unbalance floor plan of your home. According to Feng Shui, the best shape for a house, apartment or room is the square. But don’t lose hope if your home or workplace has an architectural imbalance. Water features symbolically complete the structure. Place them to “fill in” where the corner of the building would be. At the same time, the water feature keeps lively Chi circulating. Feng Shui Water elements are ideal for activating the good energy of your prosperity area. In Feng Shui, water is directly associated with the flow of money and prosperity. Therefore, water features are especially powerful in the “wealth” and “career” areas. In Feng Shui the water element is generally a good enhancer for the NORTH areas of your place. 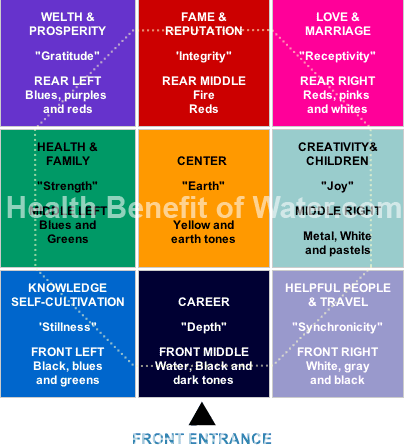 However, by using the BAGUA map will give you more ideas. By applying it to your home or office floor plan, you will notice nine distinctive zones and each is related to a specific color. The colors: blue, dark blue, black or water tones. Place the water elements in the prosperity, health, creative, knowledge, career or helpful people areas to activate them. In this zone you should place a water feature or symbol to activate the good energies.